Perhaps, like many consumers, you are sick of your old tank water heater and looking for one of those cool and hip tankless varieties you’ve been hearing about. With dozens of models available in each category, the first step you should take is deciding which type you want. Doing so will make your buying decision a lot easier! So, if you’re at the stage of struggling to figure out which one is better suited for you, fear not! You’ve come to the right place! In this article, I’m going to tell you everything you need to know to help you make the right decision when it comes to your next water heater. What is the Difference Between a Tank and Tankless Water Heater? Let’s get some textbook definitions out of the way so you’re crystal clear about what each type of water heater actually is. 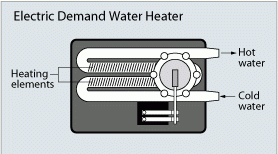 A tank or traditional water heater, is a water heater that uses a tank (duh!) to store and heat water to be used by the utilities in your house. In the case of a propane or natural gas tank water heater (pictured), a burner is activated which heats the heat exchanger. As the cold water comes in from the bottom, it’s heated via the heat exchanger and exits as warm water through the hot water outlet at the top. 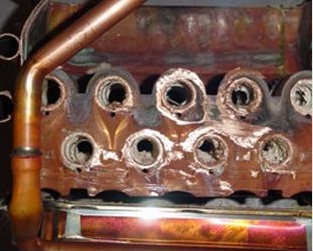 In the case of electric models, a heating element acts as the heat exchanger. As the hot water is used up, the tank will be filled with more water from the main pipe to be preheated. A tankless or ‘on-demand’ water heater provides hot water when you need it. As the name implies, it does not use a tank! You’ve probably even heard them referred to as ‘instant’ hot water heaters in that they heat the water from the main pipe as it passes through. Theoretically, this means you have unlimited hot water. They work similar to tank units with the water circulating through the heat exchanger and exiting at the desired temperature. They also can be gas, propane or electrically powered (pictured). So now we know what each type actually is, let’s go over the disadvantages and advantages of each in regards to 4 specific factors – energy efficiency, cost, performance and size. 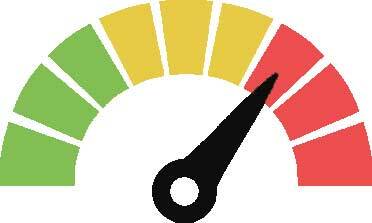 A way of looking at energy efficiency is by using the term ‘energy factor’ (EF). This is a measurement of the portion of input energy that is transferred to hot water. So an EF of 1.0 means 100% of the energy is used to heat the water, whereas an EF of 0.9 means 90% of the energy is used. Gas tank water heaters have an EF of 0.5 – 0.7, compared to 0.69 – 0.85 of gas tankless water heaters. Electric tank water heaters are a lot more impressive with an EF range of 0.75 – 0.95. But this is blown out of the water (mind the pun) by electric tankless water heaters that rate from 0.98 – 0.99! Keep in mind that the efficiency differences are reduced by around 10% if you use more than 40 gallons of hot water a day (the average household usage for 4 people is around 40 – 70 gallons). Why? A lot of the inefficiencies in tank water heaters is when they are in standby mode. When they are not being used, cold water still needs to flow in to fill up the tank. The water then needs to be heated and be maintained at a set temperature ready for use. This is known as standby heat loss, and hence a household that uses hot water more frequently effectively improves the efficiency of their tank water heater. And now the important part…how much money will you save? Well the average family spends anywhere from $250 – $450 per year on hot water. For our example, where going to pin this at $300. If you decide to get a tankless unit to replace your tank water heater you could save up to $150 a year or $12.5 a month. Considering an average lifespan of 15 to 20 years, these savings can add up to 1000s of dollars. Whichever way you look at it, tankless water heaters are more efficient than their tank counterparts and will save you money in operating costs. The winner for this round goes to…tankless water heaters! T he monetary cost of either type of unit is a huge factor when it comes to deciding which way you want to go. There are four areas when it comes to the financials; let’s go through each one. This cost is actually getting the unit to your front door, without installation or anything else. 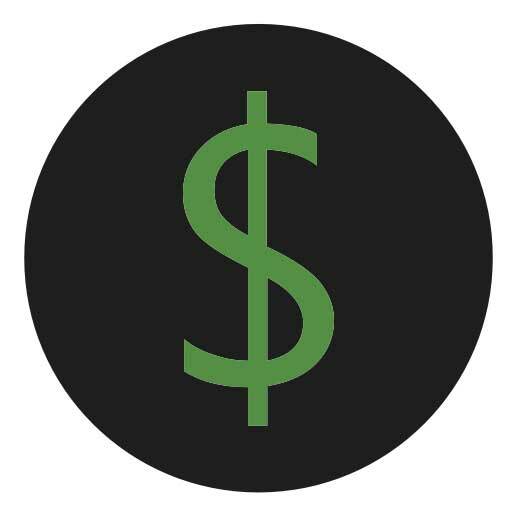 A tank water heater can range from $100 – $1000. Things like the brand and performance are obvious factors which influence the final price. Compared to tankless models, the cost for performance is usually better (more on this later) and you can definitely spend less then $1000 for a complete household solution. Tankless water heaters have a similar price range but it’s not uncommon to see prices hitting the $1500 mark if you decide to go for a full house solution. Of course, there are outliers with some tankless and tanked units exceeding $2000. This is especially the case when it comes to commercial models that can produce temperature and flow rates that exceed the requirements of your typical household. You may opt for point of use units as well, which are used to supply hot water for one utility. These can come in both tank and tankless varieties and priced fairly inexpensively but provide a lower flow rate. Here are where things get interesting. Different contractors will give you different numbers, but you can expect water heaters are about 50% cheaper to install. A tankless water heater installation will run you anywhere from $2000 – $5000, while a tank installation will be about $1,100. You may also require a permit depending on where you live and what needs to be installed. This can set you back a couple of hundred dollars. Whilst professional installation is more expensive, it’s also a requirement from most manufacturers if you don’t want to void the warranty. The reason tankless units are more expensive is simple…many houses already have a tank solution and so moving to a tankless model will require venting (if using gas powered), a possibly larger gas line, water pipe set-up and electrical configuration. Interestingly, Amazon quotes installation to be around the $600 mark for a tankless water heater. However; this doesn’t factor all the little things I’ve stated above. I’ve already pointed this out under the energy efficiency section. Basically you could save up to $150 a year using a tankless water heater depending on your previous set up. Why? Because tankless water heaters are extremely energy efficient! Both tankless and tank models need some maintenance. Usually it involves a quarterly, half-yearly or yearly flushing to remove the scale that builds up. If you didn’t know scale is the build up of minerals that can damage your water heater over the long term. It’s got a bit of a white crusty look to it. Take a look at the image on the right. That’s what scale looks like and you can see it clogging up this unlucky heat exchanger. Tank water heaters are definitely at a disadvantage here as clumps of sediments are prone to build up at the bottom of the tank. The sediments come from what is known as hard water. Hard water is water with a high mineral content that is formed when the water passes through limestone, chalk, soil and rock. The level of minerals in your water will be different depending on where you live. As this water goes through your heater, the particles which are mainly magnesium and calcium, are suspended and then clump together, forming mineral deposits. They become heavy and sink to the bottom of the tank. This is bad news if your heating element is also at the bottom – which is the case with many tank water heaters. The build up of minerals can cause damage overtime and cause your heater to work harder than it has to. Eventually, elements of your water heater may overheat and before you know it, there is a flood in your house and a broken water heater that needs replacing. 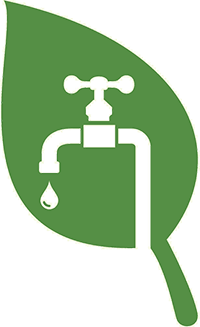 Tankless water heaters are also prone to scale issues but not so much. You see, chances are, the minerals get flushed out with the water that is constantly flowing through when the unit is active. These factors affect the lifespan of your water heater, with your average tank model lasting about 10 – 15 years, whilst you can squeeze over 20 years of mileage with a tankless model. Who is the overall Money King? 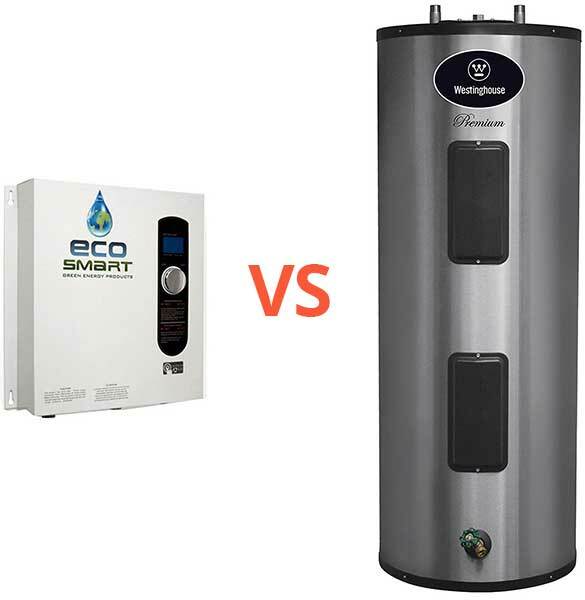 Initially, hands down the tank water heater wins…but over the long term the tankless water heater comes out on top. We’re awarding this round to…tankless water heaters. One of the most important factors is of course performance. Things like how much hot water can be used at once and how long it takes for the water to get hot are very important when it comes to day to day use. The short of it is that the tank water heater reigns supreme in almost every regard. While tankless water heaters can deliver an unlimited amount of hot water, there is a limit to how much hot water can be delivered at once. Basically, if the unit can’t keep up with the water flow you’ll either notice a drop in temperature or a reduced flow rate. A lot of tankless units can produce hot water at rates of about 4 – 6 GPM (Gallons Per Minute). That’s enough for about 2 standard showers and a kitchen sink. On top of this, if your inlet water temperature is particularly cold, the unit will have to slow down the GPM to keep up with the required temperature rise as it need to warm water by more degrees. Therefore; it’s hugely important to determine your hot water requirements before deciding to invest in a tankless unit. You can check our guide in this article for more information on correctly sizing your tankless water heater. A tank hot water unit is not plagued by these issues, as it’s pretty easy to supply whatever hot water is demanded, as long as their is actually hot water in the tank. Do you know what happens if you exceed the supply of the tank? Yep, you guessed it…you’re going to be greeted with a cold surprise. Despite this, I’ve yet to speak to anyone who’s complained about cold water issues on a regular basis with tank water heaters – just make sure you do your research in selecting the size that works for you. Tank water heaters are definitely the performance kings. Don’t get me wrong, tankless units for the most part can supply the hot water demands of your house. Just be prepared to spend big bucks if you require a high flow rate. Round 3 goes to the tank water heater. A pretty obvious one, but tankless water heaters are significantly smaller than tank units. We’re talking about numbers that range from 10 lbs for an electric tankless model to about 50 lbs for a gas powered. Compare this to tank units which come in at about 150 lbs. If you look at the sides of houses you’ll almost certainly see examples of tank models. They are mostly installed outside due to their large size. Conversely, a lower weight and smaller size makes tankless units a far better option for point of use applications where they can easily be fitted inside the house, such as under the sink or inside the cupboard. If you live in a unit or apartment where space is at a premium, considering a tankless unit solely for the size is a good idea. And when it comes to portability, tankless wins as well. Yes, you can get small tank models under 10 gallons that are portable but they are still going to be significantly larger and weigh a lot more. Good luck lugging a portable tank water heater to a campsite a mile away…. The round 4 winner is…tankless water heaters! Keep in mind that the benefits or disadvantages of each type can vary based on the model you get and the previous solution you were using. For example, if you were to move from an electric powered tank model to a gas powered tankless one, you may find that the energy efficiency doesn’t change or is even less in some cases. However; for most consumers who move to a tankless solution for the obvious benefits, this table will hold true. So there you have it, the titanic showdown between the traditional water heater and tankless water heater has come to its conclusion. For sure, the tankless water heater is trending right now and is all the rave with eco-conscious consumers. But despite this, the tank water heater has some distinct advantages and remains the number 1 pick for many people. It all comes down to your own needs and preferences. Whilst a family of 4 people may find a tank water heater perfect for their house where a high flow rate is needed, a couple in a small apartment may find a tankless model the better option. If you do decide to go with a tankless water heater, be sure to head over to our top picks and buyer’s guide which will help you narrow down your choices.